At 68 years of age, Rebecca Voore is looking to reinvent herself, though that wasn’t her plan when she developed her Salsa Vinagreta. Based on her grandmother’s pico de gallo recipe, Voore’s salsa starts with vinaigrette rather than tomatoes or tomato sauce. She mixes it with wine, jalapeño, and freshly-diced vegetables for a unique taste experience not found in traditional, store-bought salsas. At the urging of her son, she mixed up some early batches of her recipe and did some test marketing at a local farmers market. She was overwhelmed at the responses she got. Inspired to move to the next level, Voore began pursuing her new project in earnest. 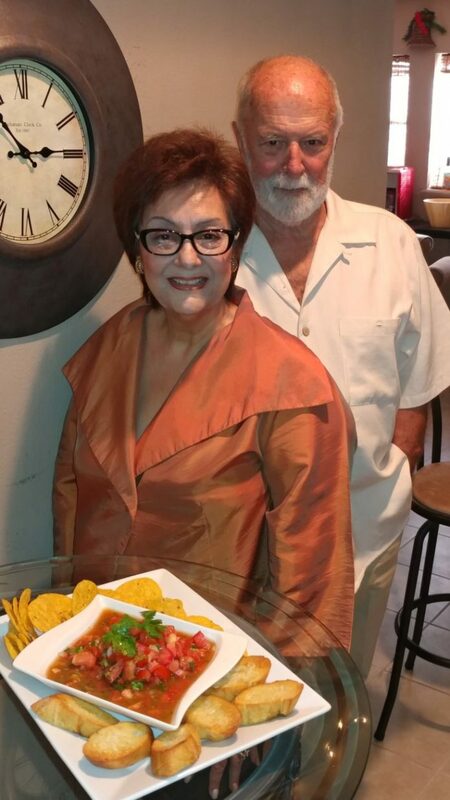 She sought help wherever she could find it, knocking on doors at H-E-B supermarket headquarters in San Antonio, the U.S. Small Business Administration, and finally the McAllen Chamber of Commerce. She took advantage of the chamber’s programs designed to help emerging entrepreneurs and was selected as one of this year’s winners of its Innovation Grant Awards. Voore believes some of the keys to innovative success are to network with other people and not being afraid to accept criticism of your product. She says it’s also important not to give up in the face of adversity. She has been on temporary hiatus from making her salsa due to a bout with carpal tunnel syndrome, but she is using the time off to fine tune her marketing skills and to commission a food panel analysis and a shelf life study. Voore has also developed three levels of spicy heat to her product and she’s done in all on a bare-bones budget. What began as a social experience turned out to be the dream of a lifetime, according to Voore, who now wants her salsa to be the premier, number one go-to brand in the world. Though she’s done much of the work on her own, she says her initial success has been a community effort. For more information on Voore’s Salsa Vinagreta visit: www.salsavinagretargv.com or email her at info@salsavinagretargv.com. For more on the chamber’s Innovation Grant Awards, visit: www.mcallen.org/business-community/innovation.